Happy Fall, Y'all! The first day of autumn is FRIDAY and to say we are excited is an understatement. We have already planned weekend fall foliage tours, baked all the pumpkin things, and found the best places to go pick some apples! If you are a little behind on your fall planning we are here to save the day and take one step out of the planning process. Below you will find a list of the top six places to spend a crisp autumn day apple picking with friends and family. If you’re just looking for fresh air, gorgeous views, and maybe a little booze, every day’s a good day to head out to the orchard! Make a day of it and have lunch at the Mountain Grill, which is open daily for farm-to-table dining. Check out the apple availability chart to see when your favorite variety will be ripe! But, do note, dates may vary due to weather or other conditions beyond the orchards control. Currently picking: Red Delicious, Jonagold, and Jonathan apples. Do you enjoy beautiful views of the Blue Ridge Mountains? Then make sure you enjoy a day in the country at Stribling Orchard this fall! Relax, bring a picnic, and pick some apples. Don't forget to stop by the Harvest Store for jams, jellies, preserves, salsas, hot sauces and marinades, apple butter, pumpkin butter, cookbooks and more to purchase... Oh and the bakery is a MUST! Currently picking: Gala, McIntosh, Cortland, Red Delicious, Golden Delicious, Grimes Golden, Jonathan, Empire & Pippin apples. Relax while sitting on the front porch of a cute country home in a rocking chair and enjoy the beautiful mountain scenery OR go on an adventure, by purchasing containers and going out to pick your very own apples. Stop by the market where there are a variety of products to choose from and don’t forget to check out the bakery and the apple cider donuts. Wrap up your visit with a stop by the “Sweets Shop” where you can select from fresh made fudge, hand dipped ice cream, or cider slushees. 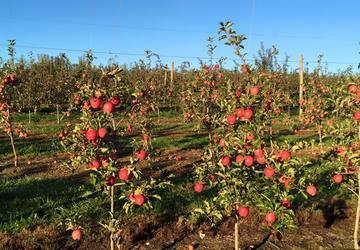 Currently picking: Empire, Yatika Fuji, Golden Delicious, Red Delicious, Ida Red apples. Located in Western Howard County, Larriland Farm is the perfect place to enjoy the fall color display and pick some apples. If heading out on a weekend, take the 20-minute tractor ride around the farm and through the woods decorated for Halloween. Currently picking: Empire apples. The next variety of apples to ripen are: Mutsu, Ida Red and Golden Delicious. Saturdays and Sundays are for picking! Take a wagon ride to the orchard to pick the perfect apples for that apple pie recipe you have in mind and then stop by the market to purchase an apple pie (you know, just in case yours doesn't come out like you had hoped). There is a $2 entrance fee to the PYO apple orchard. Wagon ride is included. You must ride the wagon to and from the apple orchard. 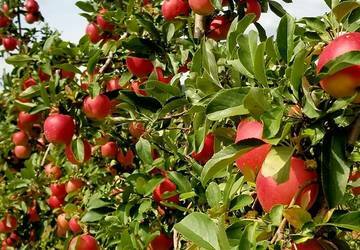 Currently picking: Crimson Crisp, Cortland, Jonagold, and Autumn Gala apples. 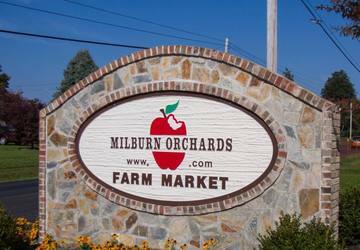 Milburn Orchards is the perfect place to bring the whole family for a day of fall fun! 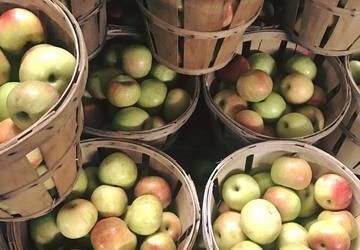 Pick your own apples and then head to the Bake Shoppe for delicious pies, their famous apple cider donuts, caramel apples and other baked good. Feeling a little hungry after your day of picking? Dine at the Orchard View Lunch & Ice Cream Deck. 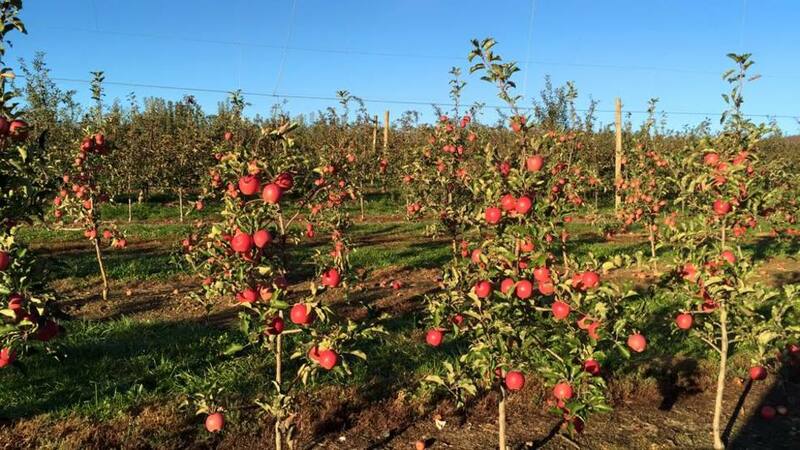 Currently picking: Red and Golden delicious and Jonagold apples.